Smashing card and love your backdrop for photographing it too - especially since we're cold and grey here! Fabulous, feminine card Sylvie. Love it! beautiful card, sylvie... i have never thought you struggled with CAS. your LIM cards are always fabulous! 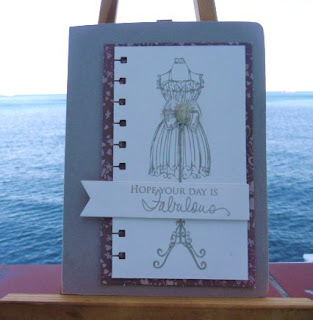 FAB stamping and love the cut out border. Love that image! What a great looking card...but then your cards are always beautiful! sylvie i love the card!! that stamp is fabulous! !